Cloud networks are really popular these days, and surely, they make our lives so easier. We don’t need to carry our data with us all the times, but simply log into our chosen Cloud service and all of our data will be there. Download it, and you’re ready to use. The only thing you’ll need is the internet and a solid device which could use it. However, Cloud computing comes with its own pros and cons, regarding security and accessibility. If you are using Windows 10, you are probably using OneDrive Cloud storage, so this might not be that unfamiliar topic for you. 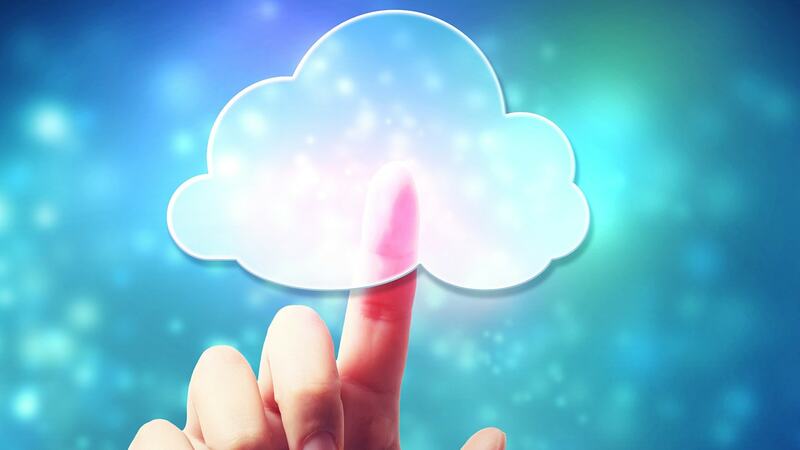 In case it is, let’s check advantages and disadvantages of Cloud computing. As we said, Cloud computing comes in many shapes, and all of them are plain simple to setup and use. Let’s say that you’ve read the whole article and want to become a Cloud computing newbie. All you need to do is choose your favourite cloud service, visit their website, create an account using your email, and choose the best deal you can find. It’s all there and you’ll have the full access to your data at any time and anywhere. Cloud systems are often encrypted so it’s safe to say that your data is secure. More about that in the next paragraph. 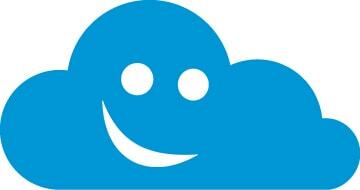 How reliable are Cloud systems and Cloud computing in general? Well, from many people’s experience, including mine, Cloud computing is a pretty SAFE way to go. Why bothering in buying expensive hard disk drives, implementing them in your PC and then doing various stuff to set them up, when you can just buy your own Cloud space and enjoy? Cloud computing always takes advantage of heavy encrypting, because your files can be sometimes accessed by random people, and that’s not good. You can now put passwords and PIN codes on your files and account to make it more secure and reliable. In my opinion, this is the key benefit of Cloud computing. Hardware, although it can be very expensive, it tends to somehow take place, whether it’s on your desktop PC or in your bag in shape of a laptop. To remove the need for that, you can use Cloud computing to your advantage, and since the most Cloud services support smartphones, you can use them to access your data, as I am sure you are carrying your smartphone often with you. It’s all nice, clean and smooth with Cloud computing; no more hardware. Classic hardware storages like SSD or HDD tend to get to the point where they can no longer be used or get damaged. Your storage can easily be disrupted at any point; it can be broken in a case of an accident, it can be corrupted and much more. Thankfully, if something goes wrong with a particular Cloud service, it’s much easier to get your files back, as the admins of the Cloud service will do that for you. And believe me, these happen almost NEVER, which guarantees the safety of your data. I’ll not elaborate here too much. Just take a look at the prices of Cloud services, and you’ll see why Cloud computing is so popular. You can have over 1 TB of space for a very accessible price, and 1 TB of space is really a lot. Take your time, and choose carefully. When you own an HDD, you know that it’s yours and that those files’ safety depends on you most of the time. Well, on a Cloud space, you are uploading your files to someone’s server, which can be a little uncomfortable, especially if you have business files and data to transfer. Thankfully, many Cloud services have live help desks which will help you to determine if there is an issue with your data or information. Features… it’s all about the features in the end, right? Well, some Cloud services will offer you cool features for less, and some for more money. Also, some of them will be more expensive while offering subpar features, so you need to think twice about this downside of Cloud computing. 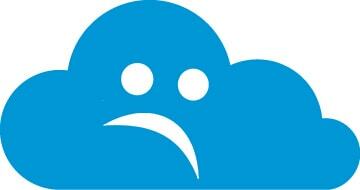 That’s what I said earlier; if you aren’t sure what to pick up, just try to search online and see other people’s experiences with various Cloud services. Cloud services can occasionally run into some technical issues, regarding bandwidth and overall performance of that service, especially if we are talking about more popular services. If there are a lot of users, it can get slow or your plan won’t get the maximum performance that you’ve paid for. However, as we said, these happen very often, as those more popular Cloud services usually take care of their servers, so it’s often fixed in no time. Yes, there are several encryption methods used to protect your data, but what if someone succeeds in accessing your data? Remember, every system has its weaknesses that can be exploited if someone takes his time to do that, so the encryption you’ve used might be worthless if that happens. Luckily for us, Cloud users, this happens almost never. At least it didn’t happen to me in my Cloud computing experience. Being software, Cloud services have their own weaknesses and strengths that we mentioned, but one is sure; Cloud computing is the present and the future of using storage. It’s by far, one of the most important aspects of computing, with millions of users using it all around the world. My advice would be to try it if you haven’t already. There are tons of free Cloud services that can do very good job, and if you like it you can transfer most of your data to a Cloud service. But, before you indulge more in this matter, you need to learn about its benefits and drawbacks from our article.